AC Chandigarh – Door step AC Service in mohali and chandigarh – Mohali, India. AcChandigarh is the Ac repair and service company, that will help you when you are searching for ‘AC service near me’ or…..
Hi- Tech Engineers; Air conditioner Repairs and Services – Sayajigunj, Vadodara, Gujarat, India. We are “Vadodara, Gujarat, India” based, Best solution provider of HVAC, specializing in all kind of air-conditioning system or HVAC…..
Everything we do is driven by our team’s comprehensive approach to heating and cooling solutions and customer centered care. 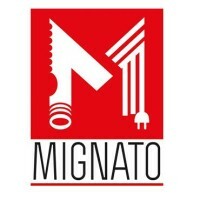 From…..
Mignato is famous for our quality services with competitive price with time commitment. Our highly qualified, trained, professional technical team…..